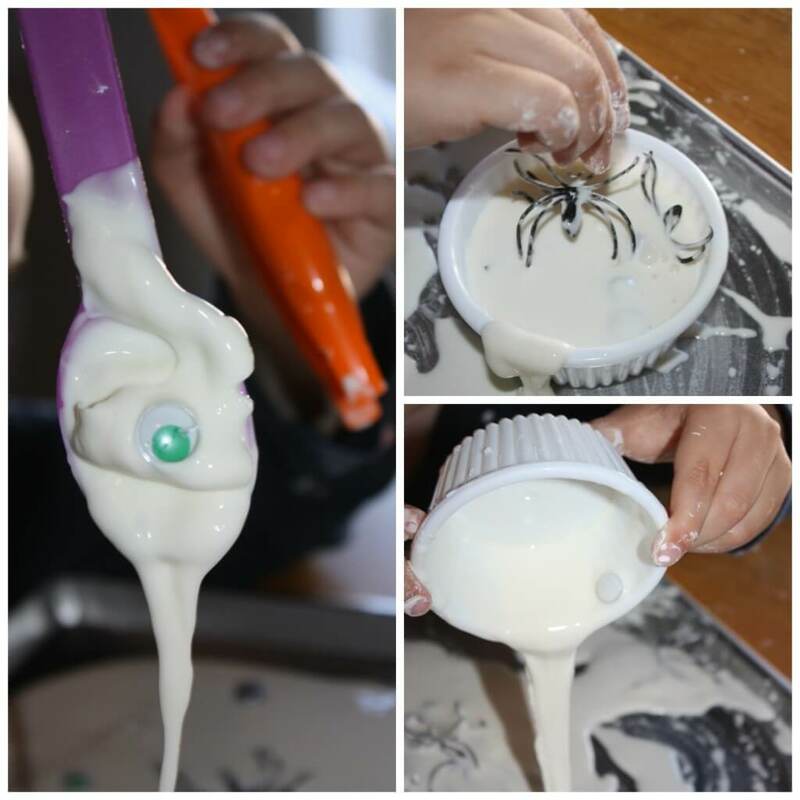 Fall is an excellent time of the year to put a little twist on classic science experiments like this spider oobleck! Oobleck is a classic sensory science experiment made from two easy ingredients. Check out our classic oobleck science play. We have tried a few themed oobleck activities this season already including apple sauce oobleck and pumpkin guts oobleck. 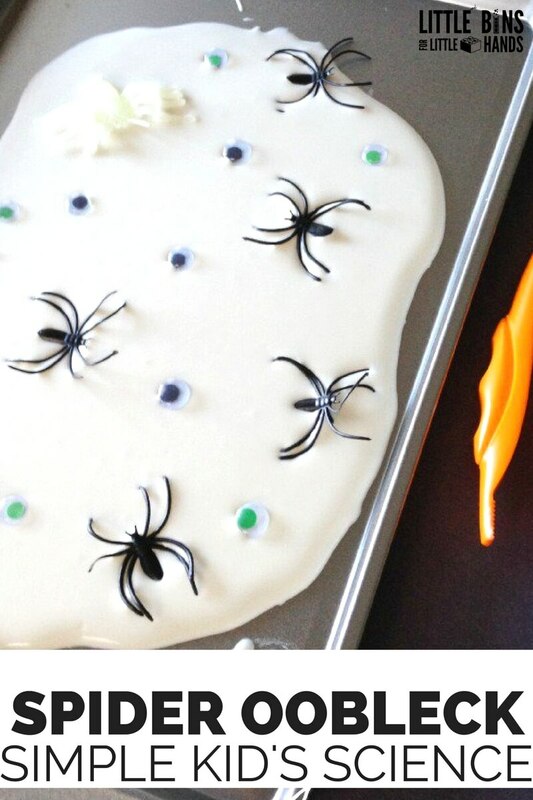 How about a spider oobleck for Halloween? 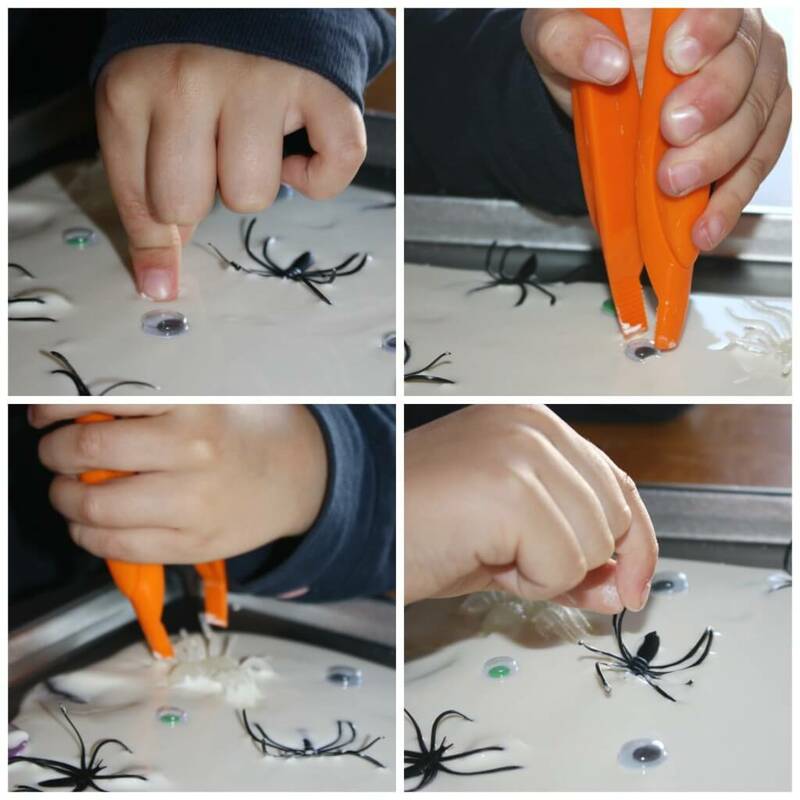 Fun science, fine motor, and sensory play in one easy activity! Oobleck is usually a mixture of cornstarch and water. Roughly a 2:1 ratio but you can tinker with the ratio to find a desired consistency that still maintains the properties of oobleck. What’s the science of oobleck? Well, it’s a solid. No wait it’s a liquid! Wait again, it’s both! Very fascinating to be exact. Pick up solid chunks, pack it into a ball and watch it ooze into a liquid. This is called a non-newtonian liquid, a substance that acts like both a liquid and a solid. It’s a classic science experiment! Simply mix up about a cup of cornstarch and 1/2 cup of water! You can adjust the ratios as needed, but this recipe is a general guideline! Pour and spoon onto a cookie sheet and stick in your goodies (really anything can be used for sticking into the oobleck! ), add a pair of tweezers and play! My son played rescue the spiders for quite awhile. He enjoyed poking at the oobleck, making paths in it and watching chunks melt back into the large mass. Oobleck really is a cool and unique substance for kids to explore. Adding a pair of tweezers just enhances fine motor skills in a playful way. The oobleck provides a nice resistance for hand strengthening too while manipulating the tweezers! This can get as messy as you like it! He preferred that I get messier. He enjoyed watching the oobleck pour out of the container, burying the spiders and rescuing them again and again. 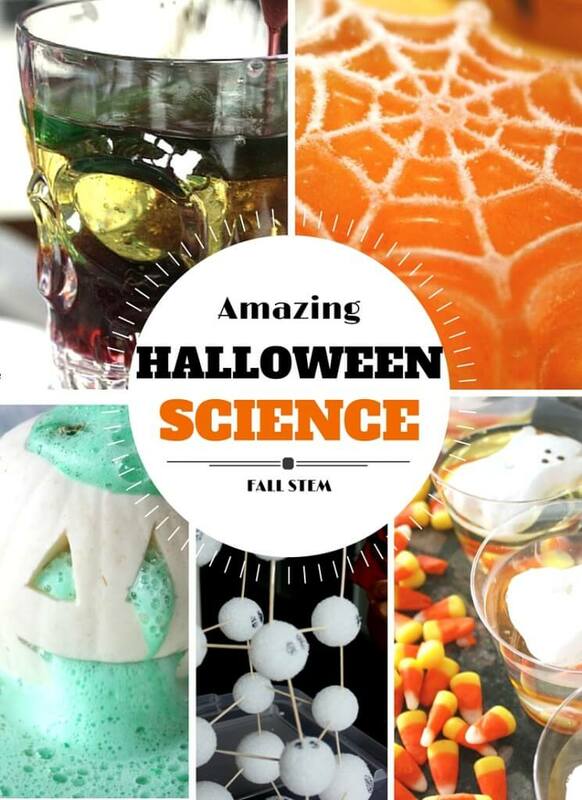 Although it’s an awesome science activity, it’s also great sensory play for kids too. We have done a few ooblecks now and he is starting to understand the science behind it a bit more each time. 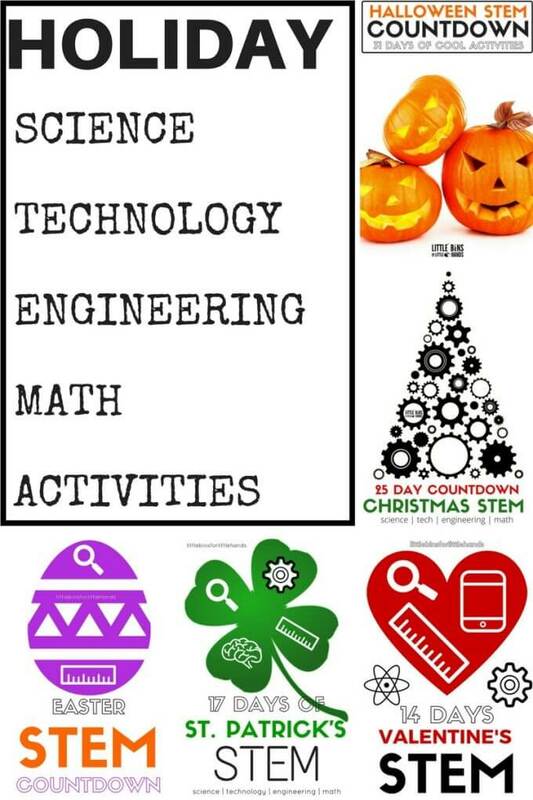 I highly recommend finding fun ways to repeat science experiments to increase understanding! We are always finding new ways to try out similar experiments! Spider Oobleck Science for Halloween! Oh, that looks like a lotof fun!! Thank you for sharing at Sharing Saturday!! You can find a subscription box towards the top of my Sidebar, thanks!